Allsarpasjön Fishing Area offers fishing in 3 different lakes, covering 660 acres of water, mostly surrounded by coniferous forest. The dedicated fisherman can experience really nice fishing for pike and perch in these lakes. black-throated divers and hobbies nest in the fishing area. White-throated Dippers nest in the streams connected to Allsarpasjön Fishing Area. The 440 acres lake Allsarpasjön is a very shallow lake, with a maximum depth of only 3 meters. The lake offers interesting fishing for pike and perch. Considering the latter, individuals of about a pound and more are often caught. The Crucian carp is common and is easily caught during the match fishing in spring. Lake Brohultasjön is connected to the bigger lake Allsarpasjön by a short channel in the south western part of the lake. The lake is not so popular for fishing, probably due to the absence of boat ramp and boats for hire. The smaller lake Mosjön, located west from Allsarp, is also included in the fishing license. Here are also good opportunities for nice perch and pike fishing. 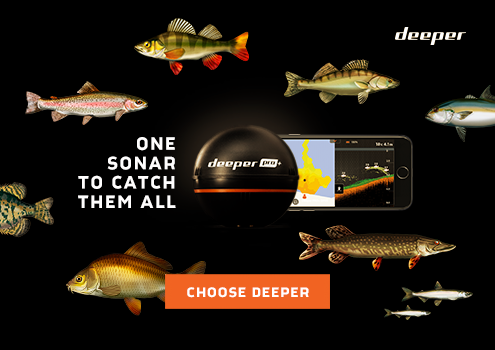 Download depth map!